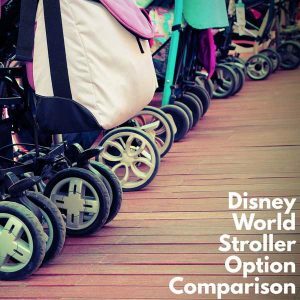 Below, you’ll find a Disney World stroller comparison so you can find the option that’s best for you. 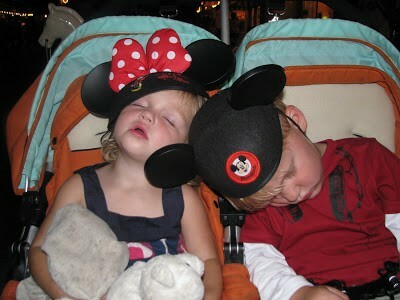 Disney has always had size limitations on strollers. Currently, strollers must be smaller than 36″ by 52″ and no wagons (or items of any sort that could be pulled behind you) are allowed. 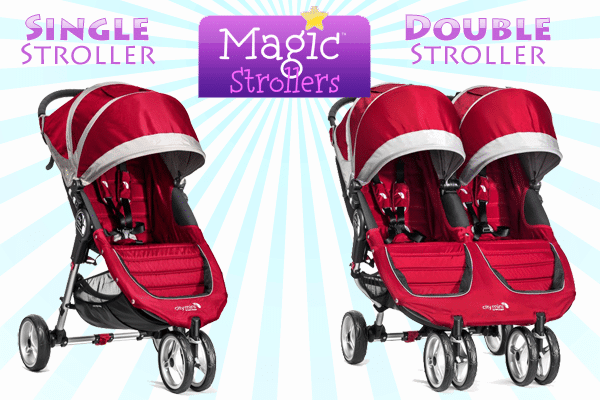 The new policy sets the maximum size for strollers at 31″ (79 cm) wide and 52″ (132 cm) long. 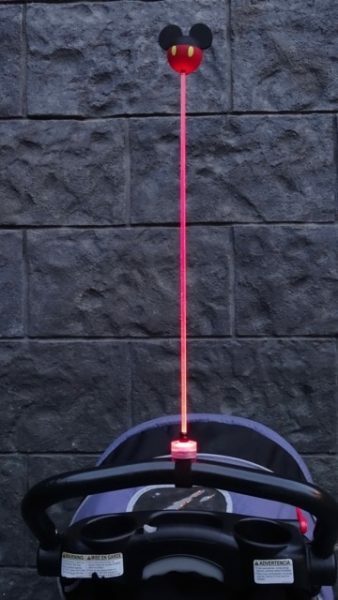 In addition, “stroller wagons”, which are a popular hybrid, will be prohibited even though most are technically “pushed” and not “pulled”. 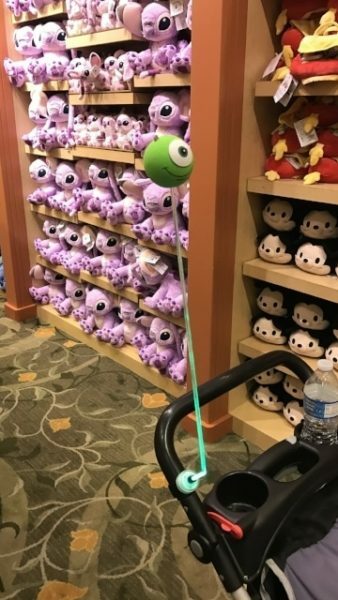 Cons: If you don’t want to lug it around at the airport, hotels, etc., it could be a problem (you will have to fold it up when riding Disney buses). 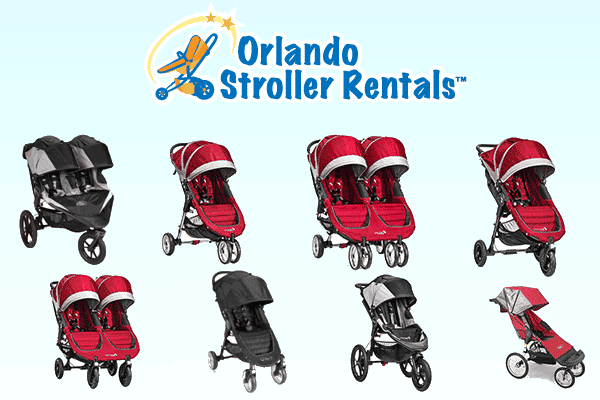 Strollers also get a lot of wear and tear on Disney World trips due to the amount of use but also the inability to take them inside while in the parks (bring a rain cover to help protect your stroller). 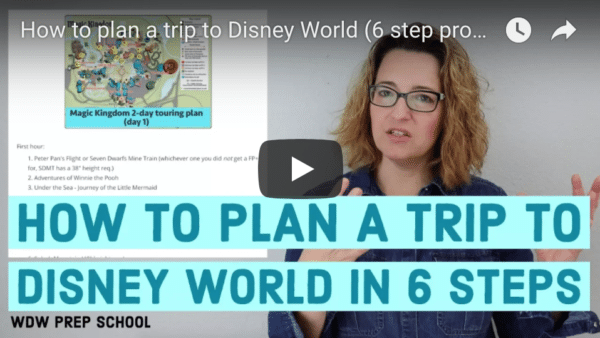 Often times it’s much cheaper to actually buy a stroller than rent one at a theme park, even if you’re just going to leave it at the end of your trip. If you have a car, it’s easy to run to a nearby Target or Walmart and pick up a stroller there. Many of the gift shops in the Disney World resorts sell an umbrella stroller that’s a bit nicer than the lowest-end umbrella strollers. These strollers cost $60 and include a cup holder and the ability to recline. Here are the addresses to all of the Disney resorts if you’d like to ship items there. Asterisks below mean that the hotel is considered a convention hotel and you may be charged a fee for a package to be delivered. All Disney resorts (including those that aren’t convention hotels) have also started charging a $5 fee for any package being delivered, however these charges are not consistent. 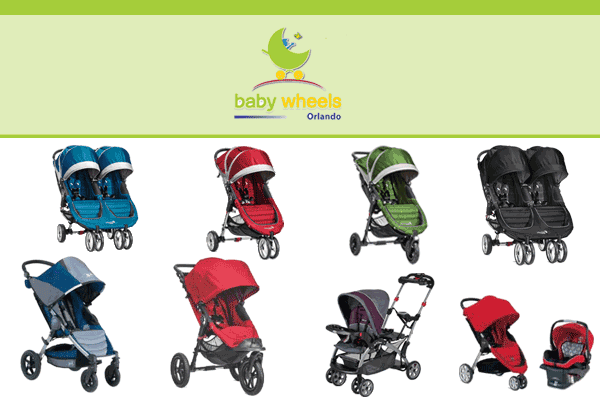 If you don’t want to bring or buy a stroller, you can always rent from 1 of many stroller providers, including renting strollers within the theme parks of Walt Disney World themselves. 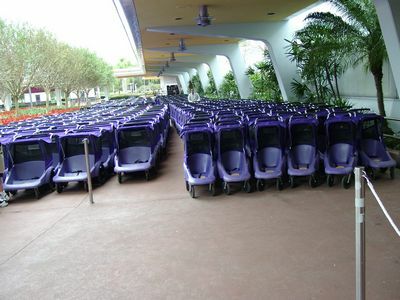 Just keep in mind that if you have a stroller with you at all times that you’ll end up having to fold and unfold it to ride Disney buses. 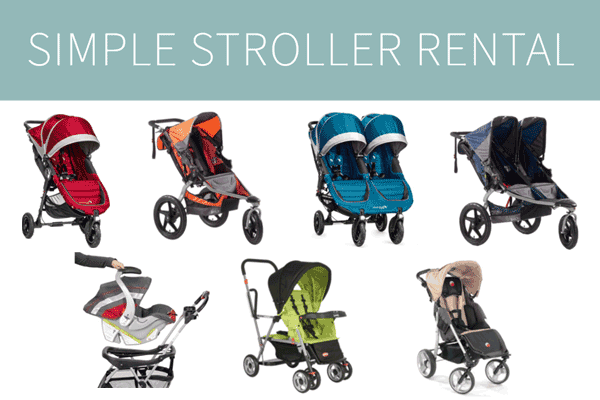 Here’s a comparison of some of the most popular stroller rental companies. 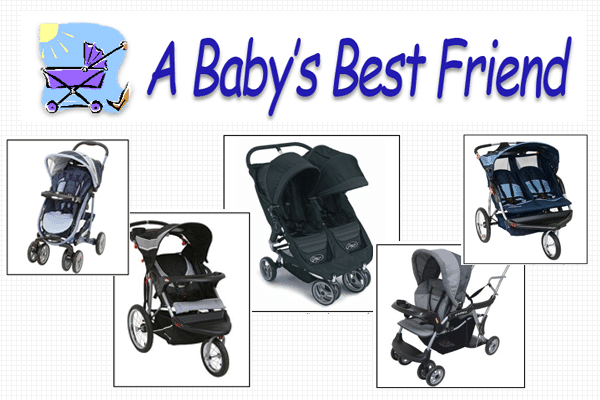 If you have an infant who will need a lot of gear, rent whatever you need (including a stroller) from a place like A Baby’s Best Friend so you have everything you need during your trip. 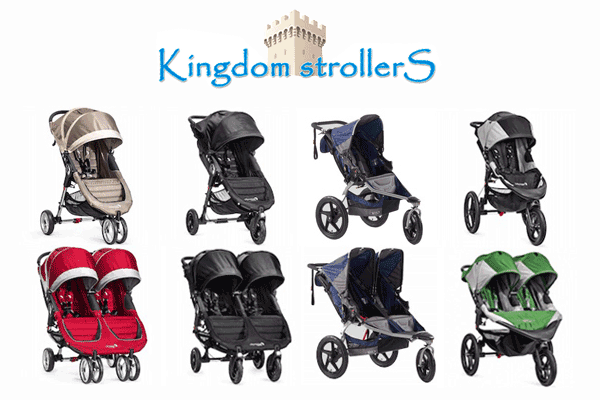 If you have bigger kids who don’t use a stroller at home but will be really tired from walking miles each day, rent one of the bigger strollers from Disney or one of the rental companies like Magic Strollers who have bigger strollers available. 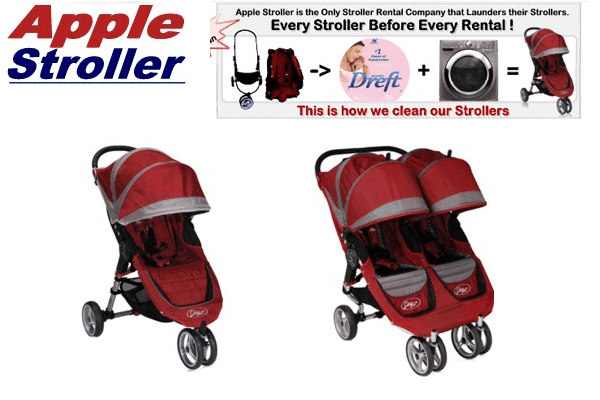 If you want a stroller to take everywhere during your trip (including the airport) but won’t need much else in terms of baby gear, bring your own stroller.